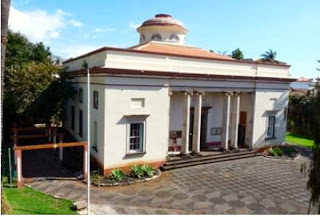 Libby on the Label: #52 Ancestors Week 17 - "Cemetery"
#52 Ancestors Week 17 - "Cemetery"
The British Cemetery in Funchal, Madeira, Portugal dates back to 1770. Prior to that, when a person who was not Roman Catholic died, their remains were buried at sea or thrown from the cliffs at Garajau. The cemetery is located next to the Holy Trinity Church, which my 5th great uncle Henry Veitch designed. Madeiran law at the time prohibited Protestant places of worship from looking like a church. "The English Church" is a neo-classical structure with no steeple or bell tower. At the top of the central dome, there is an all-seeing eye, probably referencing the Freemasons, as Henry was a member of the organization. Seems to be the perfect final resting place for this controversial man, but he is not interred there. 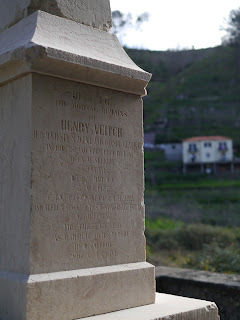 Henry Veitch was the British Consul of Madeira. He was born in Selkirk, Scotland and was the brother of my 4th great grandmother Alison Veitch, who I wrote about here. She was a widow with 10 children at age 39. 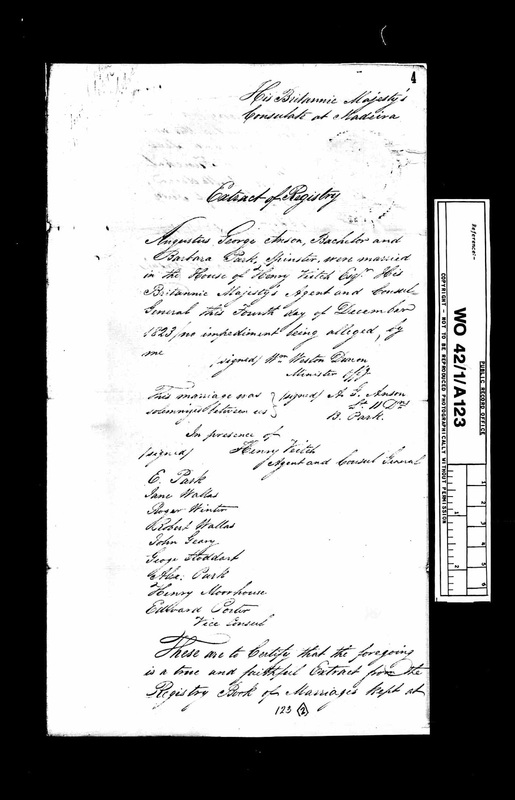 I discovered her brother Henry while researching Barbara Park, Alison's 4th oldest child. Barbara was married at the home of Henry Veitch in Madeira on December 4, 1823, nine years after the death of her father. Her brother Alexander and perhaps sister Euphemia were in attendance. 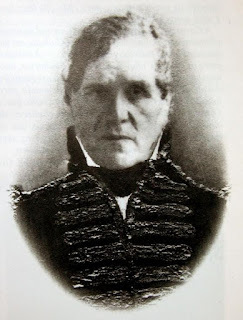 Archibald Park, who was just three months old when his father died, moved to Madeira with his wife Elizabeth Solly Park in 1841 and raised his five children there. It seems as though uncle Henry Veitch was a part of the children's lives, which is commendable. 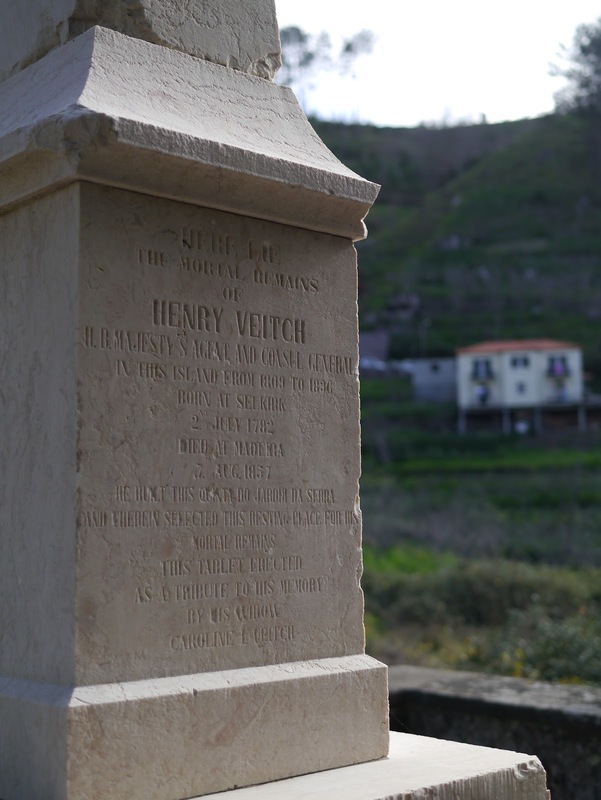 There are many tall tales about Henry Veitch in Madeira, not the least of which concerns his burial. Initially he was buried in the British cemetery, as custom dictated, but that was not his final wish. 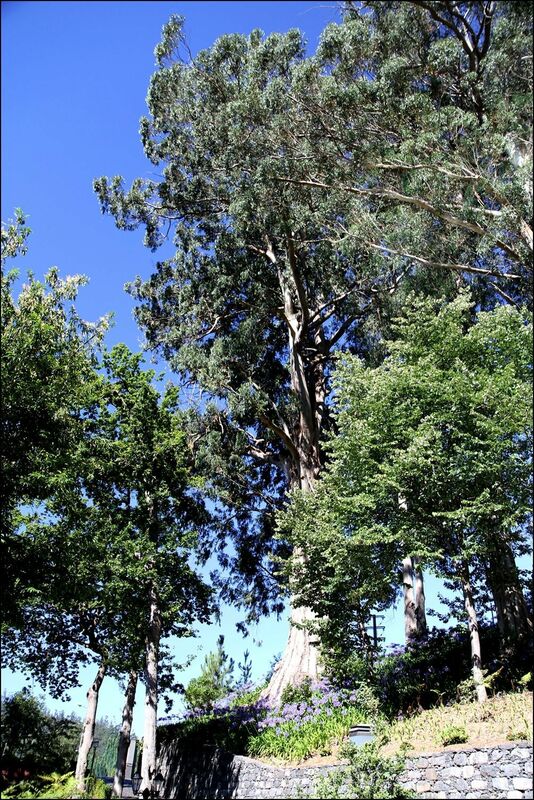 He wanted to be buried at his home, Quinta Jardim da Serra, with his beloved dog. His widow, 2nd wife Carolina Joaquina de Freitas Veitch, secretly built a mausoleum on the property and planted heather all around it as camouflage. At that time burials were not allowed outside a cemetery. 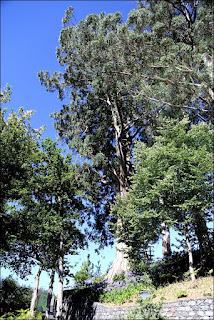 One night his body was removed from the cemetery and carried up the hill to Quinta Jardim da Serra. They used torches to light the way, frightening people in the village, who thought it was something otherworldly. I discovered that he was the great grandfather of Noel Coward. His son Henry Gordon Veitch had five children. Daughter Violet Agnes Veitch married Arthur Sabin Coward. They had three sons, the middle one being the iconic Englishman. That makes Noel Pierce Coward my 3rd cousin 3 times removed!